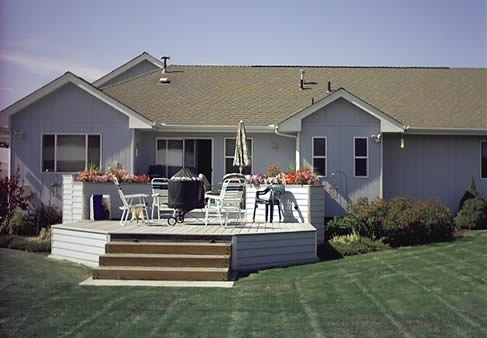 Decks and deck roofs can add functionality to a home or yard, add character to the exterior of a plain house or make an existing deck usable in any type of weather. Birchcrest Homes has experience building decks and deck roofs in many different styles using various materials including tongue and groove cedar and composite decking. We can tie the structure into the existing building and provide special features such as built in planter boxes, multiple tiers, specialized lighting and an assortment of shapes and sizes.